One of this Government’s more radical plans — to overhaul the way it reports the annual Budget — appears to have the backing of a large proportion of business leaders. 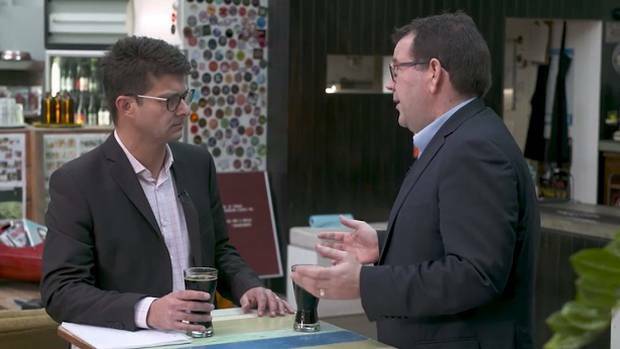 Finance Minister Grant Robertson is working with Treasury on publishing a “Wellbeing Budget” in 2019. That broadly means a shift away from a pure focus on the financial performance to include measurable targets in environmental, cultural and social areas. It’s a shift you might expect would seem a bit soft and fuzzy to hard-nosed business leaders, but in fact 44 per cent of those surveyed for the Mood of the Boardroom say Robertson “is on the right track by prioritising his Budget focus on new living standards measures rather than the more traditional measures like GDP”. About 30 per cent said they were not convinced by the plan and 25 per cent were unsure. The response suggests the Minister has an opportunity to carry a majority of business leaders with him on this if he can articulate his vision and execute well. While the production of a Wellbeing Budget is new territory, the work behind it is not new. Back in 2008 the Buddhist kingdom of Bhutan adopted Gross National Happiness as a core part of its economic policy framework attention — although most of it attracted a lot of media attention at the time, the move was dismissed as a novelty. But in 2010, as it grappled with post-GFC austerity measures, the UK’s Office of National Statistics introduced a happiness index in an effort to broaden its measurement of national well-being. New Zealand’s Treasury produced a Living Standards Framework in 2011 that adopts a “four capitals” model. These include natural capital (environmental considerations), human capital (which goes to the skills and knowledge of the population) and social capital (which looks at factors like social cohesion and will likely include cultural well-being). More traditional financial measures (dubbed physical capital) round out the four. But, like the UK’s index, this Framework had been sitting dormant as more of a reference document for ministers. Now Robertson has explicitly given Treasury the green light to put the Living Standards Framework into place as the foundation of its research and policy advice. “We’re probably the first country in the world saying all this conceptual stuff is great but let’s take it and apply it to policy and decision making,” Treasury Secretary Gabriel Makhlouf told the Herald earlier this year. Last month the Government introduced amendments to the Public Finance Act that will allow it to set out how its well-being objectives, along with its fiscal objectives, will guide its Budget decisions. Robertson described that as an important step towards a new style of Budget in 2019. Of course the trend towards a broader framework for reporting results and measuring success isn’t unfamiliar to chief executives, given the widespread adoption of Environmental Social Governance (ESG) in the past few years. That has seen a marked shift in the outlook of boards and management teams. Other business leaders were also enthusiastic. “I think this will be one of the most important legacies this Government leaves,” said Mai Chen, of Chen Palmer Partners. Some were supportive but with reservations about execution. “The approach is fine, the devil will be in the detail,” said Dame Alison Paterson. Craig Stobo, chairman of the Local Government Funding Agency, said he was supportive of the concept but was “disappointed so far with the public debate on what should be measured, how can progress be measured and whether our central government institutions, agencies and regulatory frameworks are fit for purpose to deliver”. Economist and NZ Initiative chief executive Oliver Hartwich expressed concerns about the risk of the new framework distracting Treasury from its primary job. Treasury’s Makhlouf admits it is a big challenge. He says it will be an ongoing process that is open to revision. “This will be a process where we will be iterating and learning and improving.